Our Ogden Collection exposed filament light bulbs add that extra flair and vintage appeal to an already beautiful fixture. Combine classic style, modern reliability and energy savings with Feit Electric LED Filament Light Bulbs. Our vintage filament bulbs are made with LED exposed filament and wrapped in an clear housing to deliver an elegant antique look and feel. We integrate innovative LED technology with traditional spiral filament, providing a natural lighting experience for those that want the benefits of LEDs and the look of vintage lighting. Filament LED's will last for years and use just a fraction of the energy of an incandescent. Candelabra Base Vintage Filament Light Bulb Our Ogden Collection exposed filament light bulbs add that extra flair and vintage appeal to an already beautiful fixture. 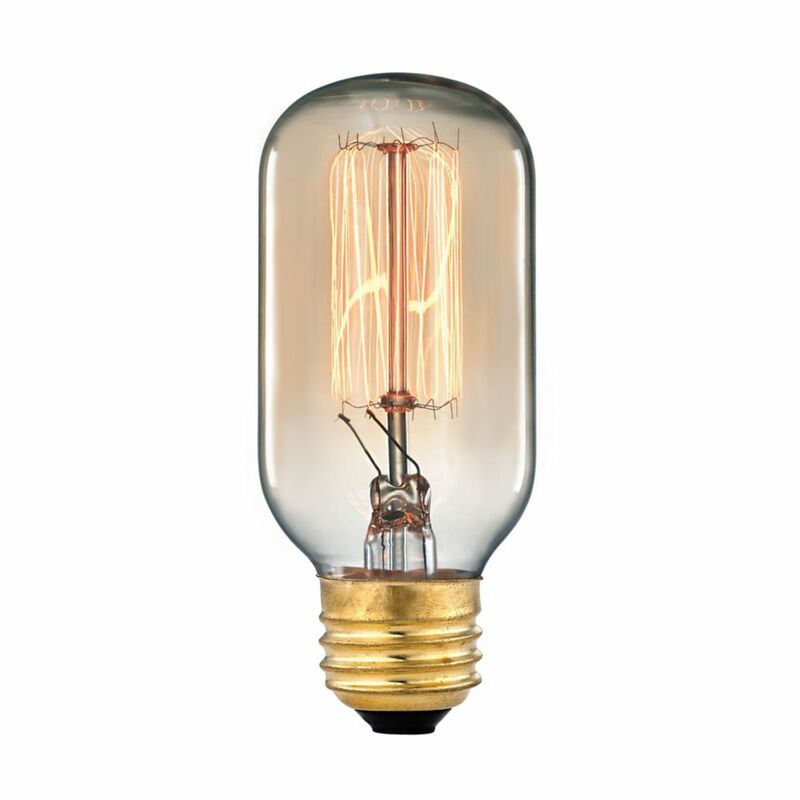 Candelabra Base Vintage Filament Light Bulb is rated 4.2 out of 5 by 5. Rated 5 out of 5 by gigi from These bulbs provided the look we wanted. ... These bulbs provided the look we wanted. Rated 5 out of 5 by napoleon1 from The bulbs really make a difference with the look of this fixture. Our only problem was that we ha... The bulbs really make a difference with the look of this fixture. Our only problem was that we had to order them twice because some of the first bulbs didn't work and one was deformed at the base. Rated 4 out of 5 by Danuts from Updating a Chandelier This is a quick way to update a chandelier that uses the old style flame shape bulbs. Edison bulbs make the chandelier more current. The bulbs are expensive but it's much less expensive and quicker than updating the fixture. Rated 2 out of 5 by boo44 from not as advertised despite saying it was the proper size, the bulb bases did not fit the light fixture.